August, 13, 2018 – Nilfisk, a leading global provider of professional cleaning products and services, is pleased to announce that it has entered into a commercial partnership with Lienz (Masisa) Professional Cleaning Equipment to bring intelligent and technology-advanced cleaning solutions to the Mexican market. Nilfisk identified Masisa as an ideal partner to expand its business operations in Mexico as they are one of the leading manufacturers and retailers of commercial and industrial cleaning solutions, based in Mexico City, with an extensive dealer and technical service network – a value that Nilfisk wants to ensure for all customers. 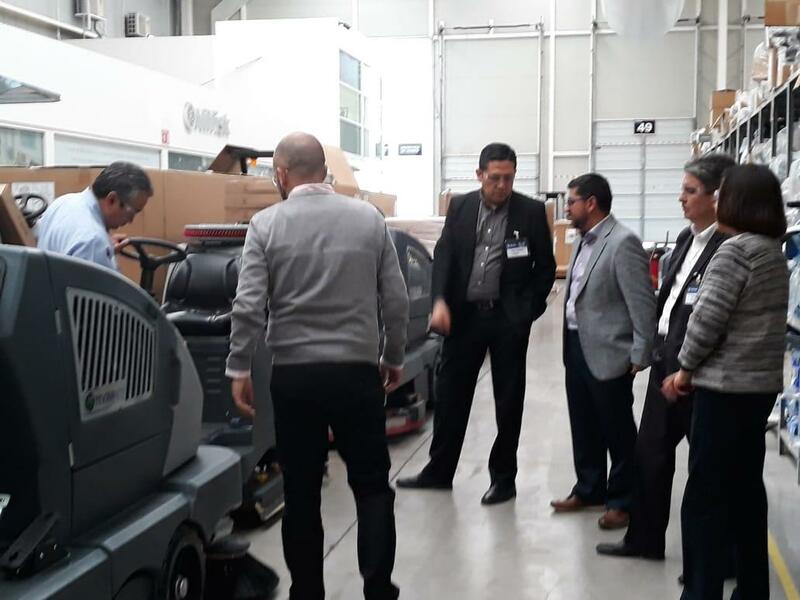 “We are excited to partner with Masisa to bring better cleaning solutions to our customers and the industries we serve, enabling them to deploy new techniques with products that will greatly improve effectiveness, precision and productivity,” said Jorge Perez de Leon, sr. general manager with Nilfisk Latin America. Masisa will market and sell an extensive offering of Clarke® by Nilfisk cleaning equipment to its growing customer base. To learn more about the Clarke by Nilfisk line of products and technical service support offered by Masisa, please visit http://www.masisa.com.mx/. Nilfisk is a leading global player within the professional cleaning industry. With more than 110 years of innovation experience, Nilfisk is dedicated to delivering reliable solutions and products of high quality that pave the way for a safer, more productive, and cleaner day for millions of companies and private homes around the world. Nilfisk has its own sales companies in 45 countries, and its products are sold in more than 100 countries. Read more at nilfisk.com. Lienz – Masisa, part of the Koblenz Group since 1959, is Mexico´s leading manufacturer of domestic and commercial products and a pioneer in the cleaning sector. With more than 1,000,000 square feet of manufacturing space in two manufacturing facilities in México City, and more than 2,500 employees, it serves more than 27 countries in Europe, North and South America and the Middle East. The Group has the only Cleaning Academy in Mexico for coaching and training end users in their cleaning procedures and techniques.